What’s a day of enjoyment in the backyard pool without the best floating toys and pool games to engage the family for hours of fun? 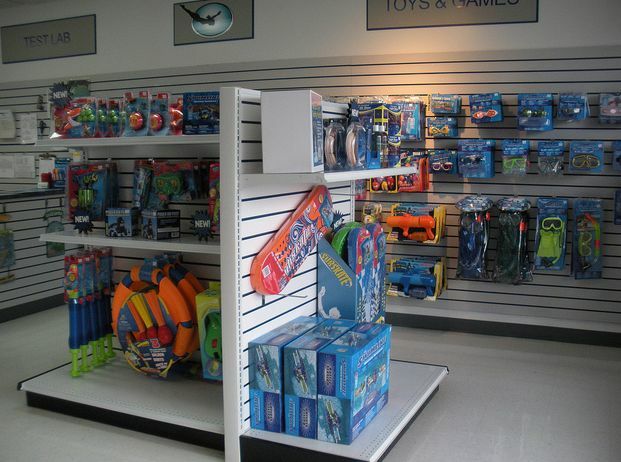 Aqua Leisure Pools not only has Southeast Hampton Roads’ largest supply of pool equipment, but we also offer a great selection of flotation devices, pool games, and other fun toys especially made for summer swimming. We are proud to offers quality brands like SwimWays that are great to use and safe for kids and pets. Swimming Training Supplies – Come check out spring floats and swim vests for small children, kickboards for new swimmers, goggles, and water wings. Pool Toys – We have diving sticks and dive toys that are easy to see under water, plus a variety of inflatable and motorized toys. Pool Games – Get the family together for a round or two of water basketball or volleyball. Loungers – Float the day away on a comfortable lounger, with our without shading. Come by any of our five locations in Virginia Beach, Chesapeake, or Portsmouth for the full selection of pool toys and floats.